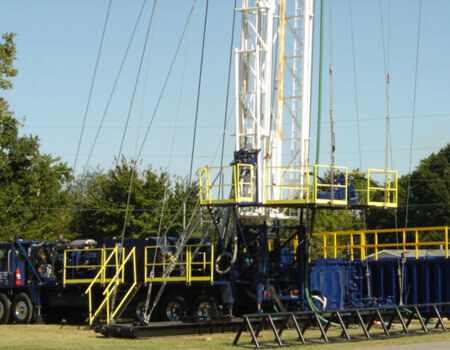 Our rigs range from 350 to 600 in class with hook load ratings ranging from 160,000 to 300,000 pounds. Each is powered by an electronic turbo charged diesel engine for quieter more dependable service that is friendlier to the environment. 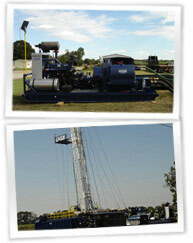 Every rig is self-transported and can be driven on an approved vessel for working or transportation purposes. All 350 classed rigs are equipped with sucker rod baskets.